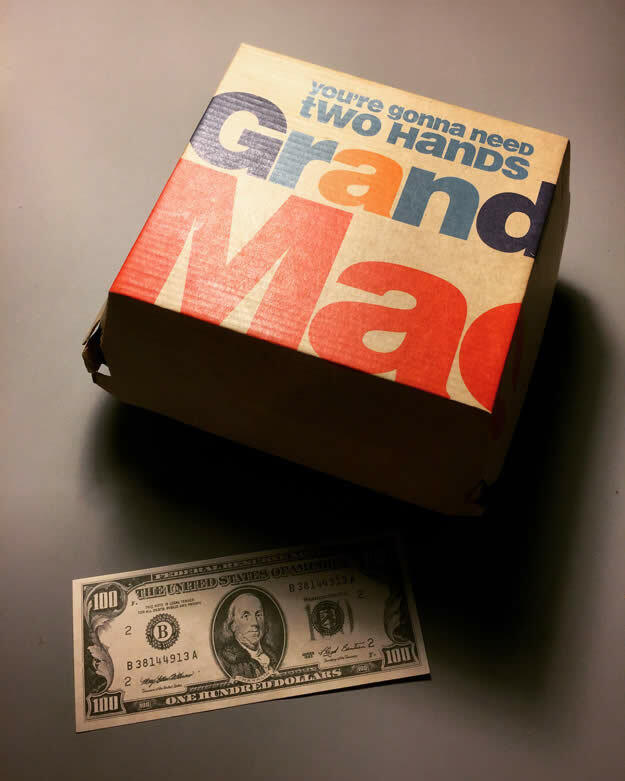 The McDonald’s Grandma, err… Grand Mac with a miniature $100 bill to mess up your sense of scale. It tasted like a Big Mac. 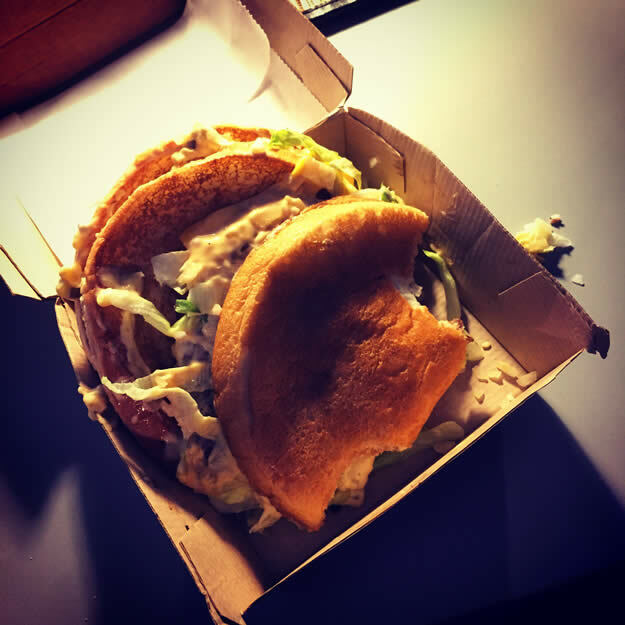 The Grand Mac should be called the Grand Slider for the way the innards move around while you try to eat it. It was also rather messy, but mostly it tasted like a Big Mac. I dig Big Macs, so tasting like a Big Mac is a good thing. It’s just a shame they didn’t call it the Jacked Mac instead. This entry was posted in food, going critical, product! and tagged big mac, burgers, fast food, grand mac, hamburgers, mcdonald's, review on February 2, 2017 by Clayton Hove.